Levi Strauss may have pioneered the “Water<less” and “Waste<less” lines of denim, but the jean icon is far from a paragon of sustainability, according to a new report from Greenpeace. In its first investigation of textile manufacturers in Mexico, one of the largest producers of denim in the world, the environmental nonprofit discovered a wide range of hazardous chemicals in the wastewater of two of the nation’s biggest factories: Lavamex in Aguascalientes and Kaltex in San Juan del Río, Queretaro. 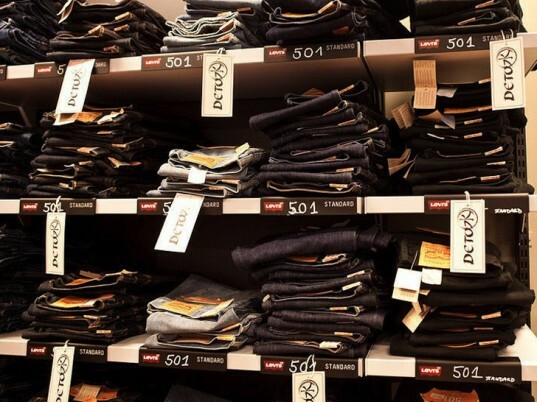 Some of the planet’s top-selling denim purveyors have current or recent relationships with the facilities, including Levi’s, Calvin Klein, Guess, Gap, Louis Vuitton Moët Hennessy, and Walmart. The group’s findings, published in Toxic Threads: Under Wraps earlier last week, reveals how the lack of transparency and limited regulation have turned Mexico’s waterways into a toxic alphabet soup of persistent environmental contaminants with hormone-disrupting properties, such as nonylphenol (NP), nonylphenolethoxylates (NPEs), 2,4,7,9-tetramethyl-5-decindiol (TMDD), hexa(methoxymethyl)melamine (HMMM), trichlorinatedbenzenes, and phthalates. A lack of transparency and limited regulation have turned Mexico’s waterways into a toxic soup of environmental and hormone-disrupting contaminants. Mexico, Terras adds, is a classic tale of big brands hiding behind a culture of secrecy, particularly where industry is concerned. Information about companies’ permits to discharge effluent and government inspections are typically classified as confidential, for instance. “For all their grandiose statements about restoring the environment and doing what’s good for the planet, Levi’s uses suppliers that are polluting Mexican rivers,” he says. Lavamex and Kaltex are only two examples of what is likely to be a more widespread problem. 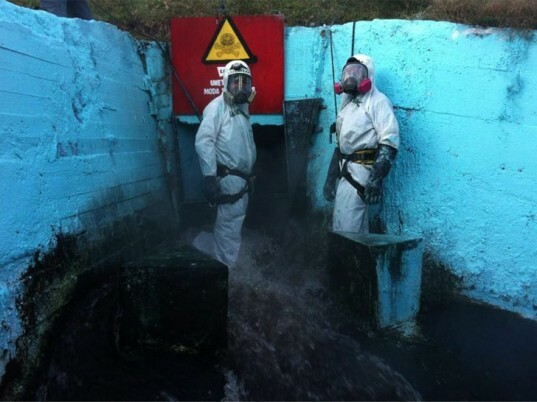 Mexican authorities require little information about the use of hazardous substances in production processes or their release in wastewater. Companies have a duty, therefore, to not only enforce internal supply-chain standards but also to engage in public disclosure that results in progress towards zero discharge of hazardous chemicals. Companies have a duty to engage in public disclosure that results in progress towards zero discharge of hazardous chemicals. 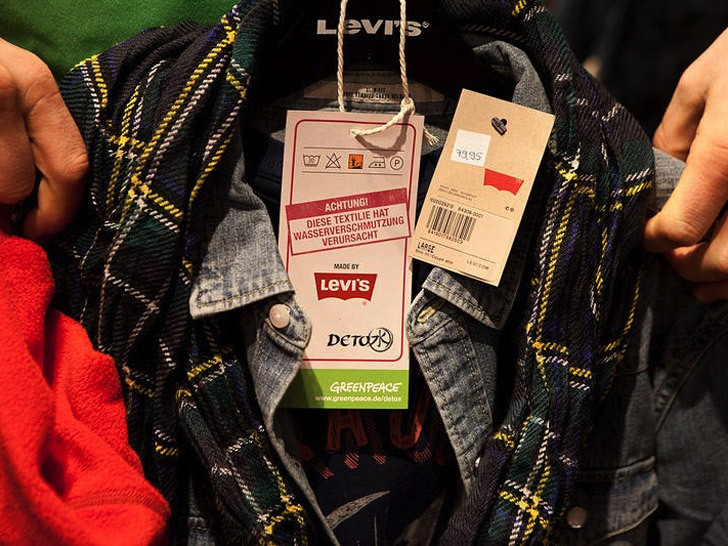 “Brands such as Levi’s must require their suppliers to disclose discharge data and set short-term dates for the elimination of the worst hazardous chemicals,” says Martin Hojsik, detox campaign coordinator for Greenpeace International. Sass Brown, acting assistant dean of the Fashion Institute of Technology’s School of Art and Design and author of Eco Fashion, says she is saddened by the report of such “unconscionable pollution” by companies that should know better. Levi Strauss may have pioneered the "Water<less" and "Waste<less" lines of denim, but the jean icon is far from a paragon of sustainability, according to a new report from Greenpeace. In its first investigation of textile manufacturers in Mexico, one of the largest producers of denim in the world, the environmental nonprofit discovered a wide range of hazardous chemicals in the wastewater of two of the nation's biggest factories: Lavamex in Aguascalientes and Kaltex in San Juan del R�o, Queretaro. Some of the planet's top-selling denim purveyors have current or recent relationships with the facilities, including Levi's, Calvin Klein, Guess, Gap, Louis Vuitton Mo�t Hennessy, and Walmart.